Gary Johnson is to return to the 2018 Vauxhall International North West 200 with the RAF /Briggs Kawasaki team on May 13-19. The Lincolnshire ace, who sat out last year’s event when his bikes weren’t prepared in time, is fired up and ready to go with Lee Hardy’s squad on a pair of ZX10RR Kawasakis. Johnson will ride the Kawasakis in the Superbike and Superstock races alongside his own 675cc Triumph in the Supersport events. Johnson forged the alliance with Hardy’s Kawasaki squad, which also runs Jake Dixon in the BSB series, after riding for the team in last year’s Macau Grand Prix. With Dixon claiming race victories, the team made the Showdown in the British championship title race. “I’ve led a lot of races at the North West 200 over the years and had some bad luck too!” the 37 year old said. “I am fit and ready to go with all the pressure off me now that I have a good team behind me.” the double Supersport TT winner smiled. Johnson will hope to benefit from the road racing experience of Hardy’s RAF squad. In 2015 the team, which also competes in the BSB series, won the Macau Grand Prix with Peter Hickman and claimed a Superstock race podium at the North West with Alastair Seeley when they ran BMWs under the Briggs banner. “It is great to welcome a rider of Gary Johnson’s experience back to the North West again this year after he missed last year’s races. 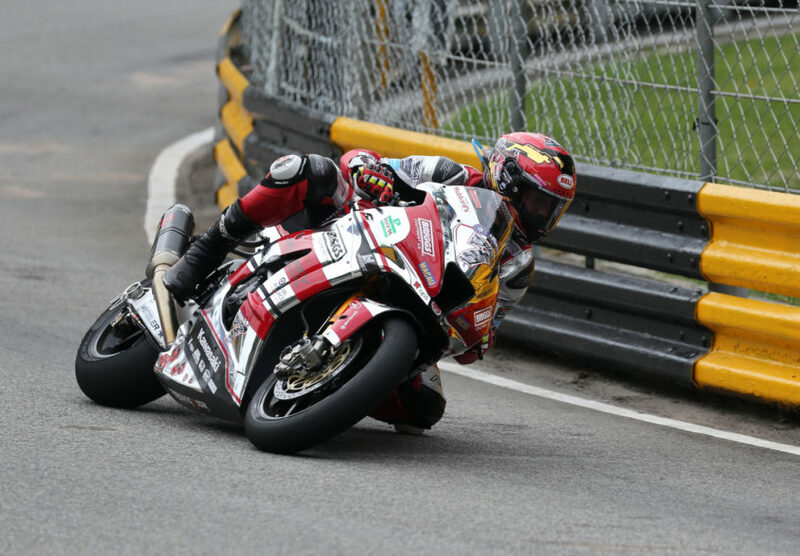 ” Vauxhall International North West 200 Director, Mervyn Whyte said.